Gilbert Ryle (19 August 1900 – 6 October 1976) was a British philosopher. He was a representative of the generation of British ordinary language philosophers who shared Ludwig Wittgenstein's approach to philosophical problems, and is principally known for his critique of Cartesian dualism, for which he coined the phrase "the ghost in the machine." Some of his ideas in the philosophy of mind have been referred to as "behaviourist". Ryle's best known book is The Concept of Mind (1949), in which he writes that the "general trend of this book will undoubtedly, and harmlessly, be stigmatised as 'behaviourist'." Ryle, having engaged in detailed study of the key works of Bernard Bolzano, Franz Brentano, Alexius Meinong, Edmund Husserl, and Martin Heidegger, himself suggested instead that the book "could be described as a sustained essay in phenomenology, if you are at home with that label." Ryle was born in Brighton, England, in 1900, and grew up in an environment of learning. His father, Reginald John Ryle, was a Brighton doctor, a generalist who had interests in philosophy and astronomy, and passed on to his children an impressive library. He was a son of John Charles Ryle, first Anglican Bishop of Liverpool. The Ryle family were Cheshire landed gentry; Gilbert's elder brother, John Alfred Ryle, of Barkhale, Sussex, became head of the family. Their ancestor, John Ryle, a silk merchant, was a friend of the theologian and evangelist John Wesley; members of this Ryle family include the silk manufacturer ('father of the United States silk industry') John Ryle and his nephew and business partner William. Gilbert Ryle's mother, Catherine, was daughter of Samuel King Scott (younger brother of the architect Sir George Gilbert Scott) by his wife Georgina, daughter of William Hulme Bodley, M.D. and sister of architect George Frederick Bodley, himself a student of Sir George Gilbert Scott. Cousins of the Ryle family thus included the haematologist Ronald Bodley Scott, architect George Gilbert Scott Jr., founder of Watts & Co., and his son, Giles Gilbert Scott, designer of the Battersea Power Station. Ryle was educated at Brighton College, and in 1919 he went up to The Queen's College at Oxford to study classics but was quickly drawn to philosophy. 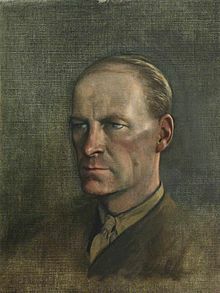 He graduated with a "triple first": first-class honours in classical honour moderations (1921), literae humaniores (1923), and philosophy, politics, and economics (1924), and was appointed as lecturer in philosophy at Christ Church, Oxford, in 1925. A year later, he became a Student (Fellow) and tutor at Christ Church, where he remained until 1940. In the Second World War he was commissioned in the Welsh Guards. A capable linguist, he was recruited into intelligence work and by the end of the war had been promoted to the rank of Major. After the war he returned to Oxford and was elected Waynflete Professor of Metaphysical Philosophy and Fellow of Magdalen College, Oxford. He published his principal work, The Concept of Mind in 1949. He was President of the Aristotelian Society from 1945 to 1946, and editor of the philosophical journal Mind from 1947 to 1971. Ryle died on 6 October 1976 at Whitby, North Yorkshire. His brothers John Alfred (1889–1950) and George Bodley (1902–1978), both educated at Brighton College as well, also had eminent careers. John became Regius Professor of Physic at the University of Cambridge 1935–1945 and physician to King George V. George, after serving as Director of Forestry first for Wales and then England, was Deputy-Director of the Forestry Commission 1963–1965 and appointed a CBE. Ryle's notion of thick description, from "The Thinking of Thoughts: What is 'Le Penseur' Doing?" and "Thinking and Reflecting", has been an important influence on cultural anthropologists such as Clifford Geertz. ^ Neil Tennant, Introducing Philosophy: God, Mind, World, and Logic, Routledge, 2015, p. 299. ^ Stuart Brown, Diane Collinson, Robert Wilkinson (eds), Biographical Dictionary of Twentieth-Century Philosophers, Routledge, 2012: "Paton, Herbert James." ^ Edmund Husserl, Logical Investigations, Volume 1, Routledge & Keegan Paul, 2001: Introduction by Dermot Moran, p. lxiv: "Husserl... visited England in 1922 intent on establishing relations with English philosopherss.... He delivered a number of lectures which were attended by Gilbert Ryle...."
^ "Gilbert Ryle | British philosopher". Encyclopedia Britannica. Retrieved 2018-09-03. ^ A. C. Grayling (Wittgenstein, Oxford University Press, (Oxford), 1988, p.114) is certain that, despite the fact that Wittgenstein's work might have possibly played some "second or third-hand [part in the promotion of] the philosophical concern for language which was dominant in the mid-century", neither Gilbert Ryle nor any of those in the so-called "Ordinary language philosophy" school that is chiefly associated with J. L. Austin (and, according to Grayling, G. E. Moore, C. D. Broad, Bertrand Russell and A. J. Ayer) were Wittgensteinians. Grayling asserts that "most of them were largely unaffected by Wittgenstein's later ideas, and some were actively hostile to them"
^ Ryle, Gilbert.The Concept of Mind. Chicago: University of Chicago Press, 2002. Pp. 327. ^ Gilbert Ryle, "Phenomenology versus The Concept of Mind," in Collected Papers, London: Hutchinson, 1971, p. 188. ^ a b c Tanney, Julia (Winter 2003). "Gilbert Ryle". Stanford Encyclopedia of Philosophy. Stanford, CA: The Metaphysics Research Lab. Retrieved 5 March 2008. ^ "Ryle: The concept of mind (Summary)". www.the-philosophy.com. Retrieved 2018-09-03. ^ Ryle, Gilbert (1971). "Abstractions". Collected Papers. London: Hutchinson. 2: 440–442. ^ Ryle, Gilbert (1971). "Abstractions". Collected Papers. London: Hutchinson. 2: 444–445. ^ "Gilbert Ryle > By Individual Philosopher > Philosophy". www.philosophybasics.com. Retrieved 2018-09-03. ^ Geertz, Clifford (1973). "Thick Description: Toward an Interpretive Theory of Culture". The Interpretation of Cultures: Selected Essays. New-York: Basic Books. pp. 3–30. Retrieved 25 June 2008. ^ "Gilbert Ryle". Stanford Encyclopedia of Philosophy. ^ Dennett, Daniel C. (2002). "Re-Introducing The Concept of Mind". Electronic Journal of Analytic Philosophy (7). Retrieved 20 December 2007. ^ Webster, Richard (2005). Why Freud Was Wrong: Sin, Science and Psychoanalysis. Oxford: The Orwell Press. pp. vii, 483. ISBN 0951592254. ^ "Gilbert Ryle Collection | Linacre College". www.linacre.ox.ac.uk. Retrieved 2018-09-03.